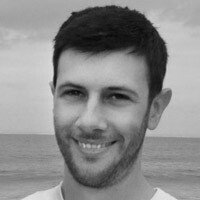 Adam Fenwick is a VFX artist with 10 years compositing experience in commercials, animation, television programmes, promos and Idents. Adam Fenwick started out in the industry as a 2d animator and After Effects compositor. He then worked at Ragdoll Productions as a Flame and Smoke Artist for 5 years. His most recent position was a Autodesk Flame/Smoke Artist at Golden Square. Adam has excellent client and communication skills and a thorough understanding of the post production workflow. His key skills include conforms, grading, blue/green screen extractions, CG integration, wire/rig removal, cleanup and beauty work. If you would like to find out more about what Adam can offer please get in touch by emailing him on adam@icmstudios.co.uk. Alternatively pay a visit to his website to see some of his latest work.